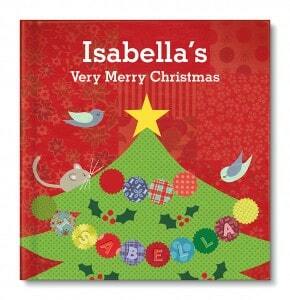 Personalized children’s story books make wonderful and unique holiday gift ideas. Imagine the joy in a child’s eyes when they receive a book that is written just for them. I See Me! has an excellent selection of personalized children’s books including the holiday title, Very Merry Christmas. This hardcover board book is a great gift or stocking stuffer for children of all ages. I See Me! has many books to choose from so you are sure to find a favorite topic for every child. My eldest son loves pirates so the “My Very Own Pirate Tale” personalized story book would be a perfect gift choice for him. For any child who is about to become a big brother or big sister, The Super Incredible Big Brother (or Sister) personalized book would be a wonderful way to make him or her feel like a special part of the family. It even includes an award medal which will make them feel like a valued and special person. You are invited to visit the I See Me! website to take a virtual tour, browse the entire selection or have fun creating your own personalized story book for your favorite child(ren). You can also connect with I See Me! books on Facebook to receive the latest promotions and updates! I’d love “A Christmas Bear for Me” for my daughter, who is obsessed with bears! I like the my very own fairytale book! My daughter would love the My Very Own Fairy Tale! I like my very own pirate story book for my son! Happy holidays! Thanks so much for the fantastic giveaway! A Chrstmas Bear for Me. My grandson would love this.